Any team can pass the ball in wide-open spaces, but only the best can do it in tight spaces as defenders close in for the kill. Unless you’ve been comatose in a cave for the past four years, you won’t need telling Spain are the pass masters. Part II: Use this drill to zip the ball around the pitch with high tempo passing. Specialising in tika-tika football, La Roja fizz the ball into each other’s feet as the opposition chase it like an out of control puppy. Replicating this style of play is incredibly difficult; nigh on impossible, but FFT wants to help you aspire to play like the best. 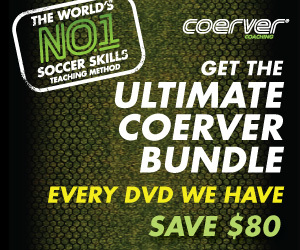 To aid you on this quest we’ve enlisted the help of technique coach Alfred Galustian, co-founder of Coerver Coaching. Galustian has devised a drill that will work on your first touch, control and passing under pressure. To watch this session in action click the play button and feast on Galustian’s expertise. The Stoke City Academy demonstrated the drills. 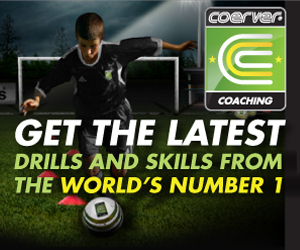 Extra: Slice through the opposition's back four with one deadly pass, thanks to this drill from Alfred Galustian, co-founder of Coerver Coaching.